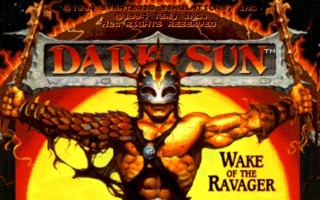 Dark Sun: Wake of the Ravager is a fantasy RPG and sequel to Dark Sun: Shattered Lands, developed and published by Strategic Simulations in 1994 for DOS only. 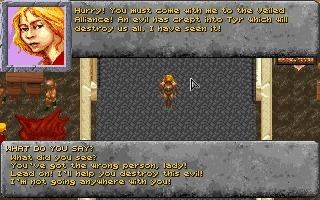 Dark Sun: Wake of the Ravager is a fantasy RPG and sequel to Dark Sun: Shattered Lands, developed and published by Strategic Simulations in 1994 for DOS only. 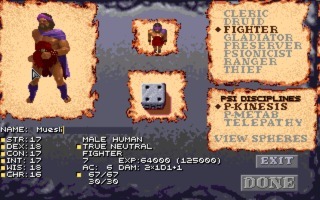 It’s an officially licensed Advanced Dungeons & Dragons game. 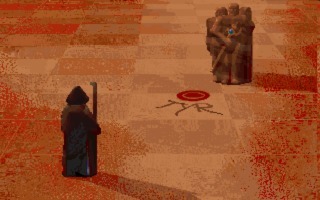 Picking up the storyline from the end of Shattered Lands, Wake of the Ravager follows the four gladiators who liberated themselves and defeated the army of Draj. 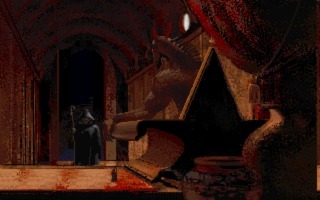 The group finds themselves in the city of Tyr, which was recently freed from the reign of their evil king. However, now the city is vulnerable to the conquest of the Dragon. The ex-gladiators now find themselves embroiled in a fight to save the world from an even larger evil. 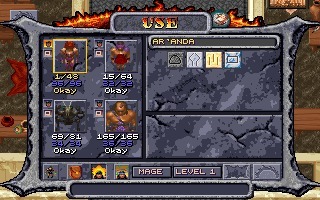 Starting out you can either use a randomly generated team, create your own, or import from Shattered Lands. There are multiple races and classes to choose from, as well as important stats for each. 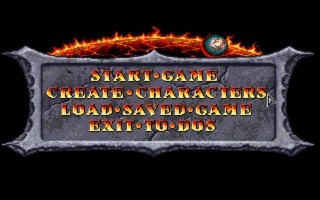 The game borrows the engine and gameplay from the original while improving the graphics. 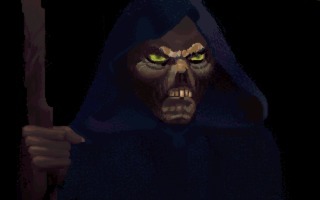 Wake of the Ravager also utilizes details unique to the Dark Sun D&D setting, such as the certain races and magical abilities. 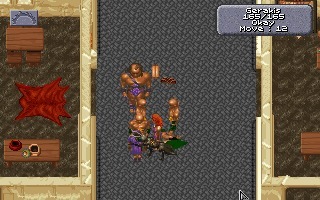 The game uses a 3rd person bird’s-eye view to move your characters around and explore environments. 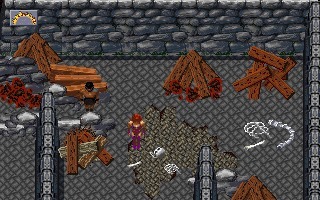 Combat is turn-based and does not require the loading of a separate screen, it simply takes place wherever enemies are encountered. Wake of the Ravager has a much more linear storyline to follow. While you can roam somewhat freely, certain areas do not become accessible until you have completed certain tasks. There are also several side quests available if you don’t feel like following the story all the time. 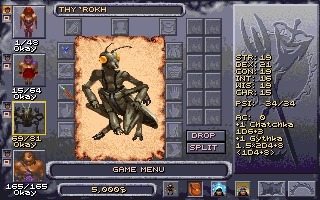 Dark Sun: Wake of the Ravager got pretty decent reviews upon release, but was plagued with bugs that caused gamers a bit of strife. Most of them have been solved by patches. Fans of the first one will definitely want to take this one for a spin. How do you feel about Wake of the Ravager? Let us know below.